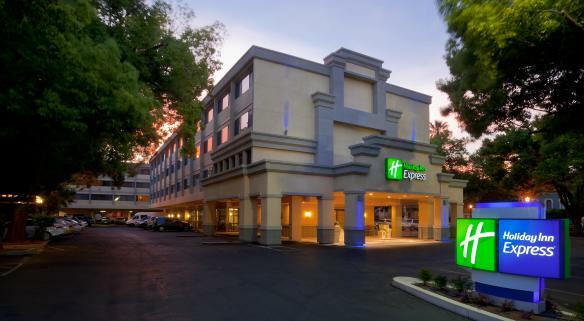 Great downtown location offering free parking, wireless high-speed internet access and hot buffet breakfast. Fitness room and 24 hour business center. Near the Memorial Auditorium, Sacramento Convention Center, Wells Fargo Pavilion and Golden One Center (Home to the Sacramento Kings). Group rates available. AE, ATM, CB, DC, DI, MC, V, W.A.